Home » Home Automation Tips » Smart Switches - No Neutral Wire? Smart Switches - No Neutral Wire? One common problem for new smart home users is that they want to install some smart switches to control lighting, but their existing light switches don't include a neutral wire. 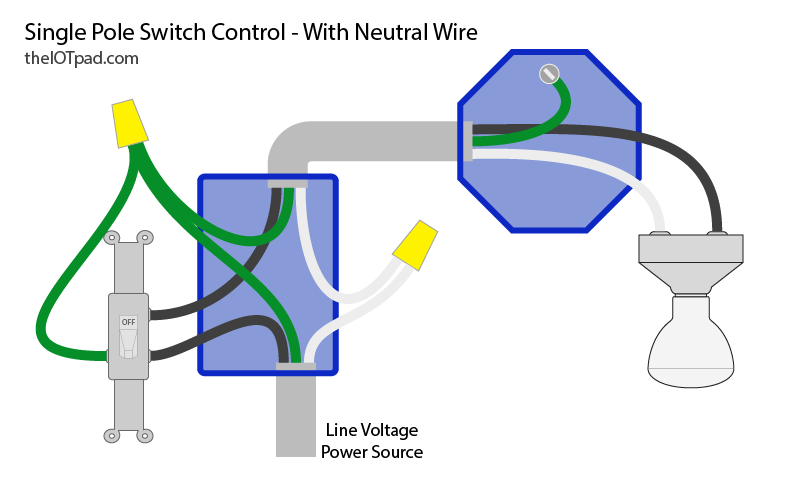 There are a few options for installing smart switches without a neutral wire, but first let's check to see if you have a neutral wire. What is a Neutral Wire and Do I Have One? The reason that some smart switches won't work in this configuration is that the switch is breaking the circuit when it is off so power is not flowing through the switch. Smart switches require a source of power because they are always communicating with a hub. If the power is cut (because the switch is off) the smart switch will not be able to receive instructions from the hub. 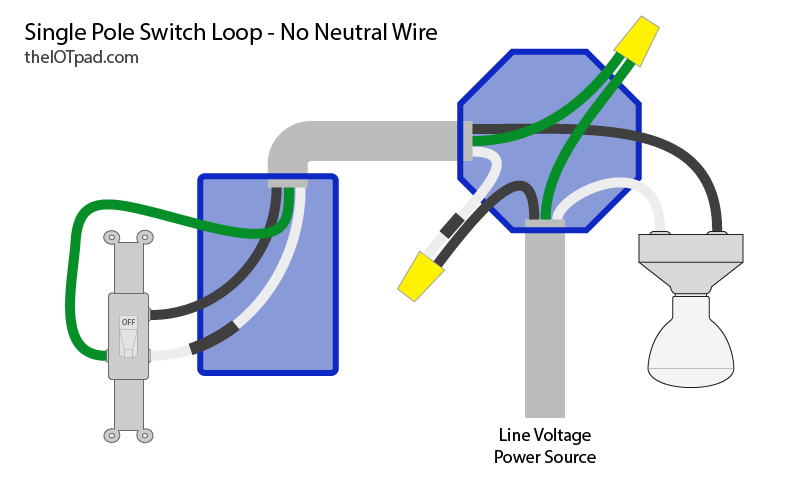 A smart switch can simply tie into the white neutral wires to complete the circuit and get a source of power to keep the radios in the switch working at all times. If you want to use smart switches and don't have a neutral wire in your switch box, you can hire an electrician to run a neutral wire between the light fixture and the switch. You can also have an electrician rewire the switch and light fixture, which is potentially more expensive. Either way, running a new wire inside the walls and ceilings of your home may be too much trouble. There are dimmable smart switches on the market that can be installed without a neutral wire. The key is the dimming feature, which turns the flow of power between the light and the switch down to a slight trickle. The flow of power is not enough to activate the light bulb, but it provides enough power to keep the switch communicating with your smart hub. However, it is very important that you confirm that your dimmable smart switch will work with the type of light bulbs you plan to use - many will only work with outdated incandescent bulbs. Here are two switches that don't require a neutral wire. The Cooper Aspire has Z-Wave technology so it should work with a number of hubs. The Caseta switch works with Wink and the Caseta Smart Bridge (the Caseta Smart Bridge allows the switch to interface with Alexa, Apple HomeKit, and Google Home). We recommend the Lutron Caseta Wireless dimmer (read our detailed review here) — we have these installed in our setup and they are working very well.